Bottom Line: A complex and serious Petit Verdot that will win over any lover of the varietal; drink now through 2035. 86 • Yorkville Cellars 2014 Randle Hill, Semillon, Yorkville Highlands .13.5% (USA) $24.00. 92 • Yorkville Cellars 2014 Eleanor of Aquitaine, Yorkville Highlands 13.5% (USA) $30.00. 91 • Yorkville Cellars 2014 Rennie Estate, Malbec, Yorkville Highlands 13.5% (USA) $34.00. 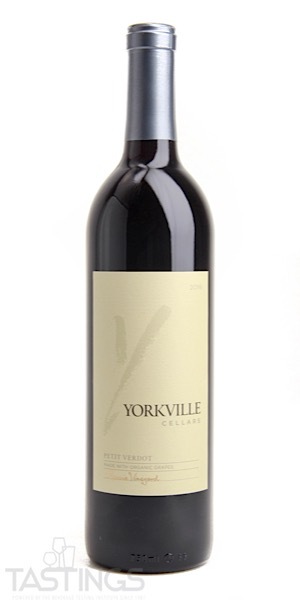 91 • Yorkville Cellars 2013 Reserve Rennie Estate, Cabernet Sauvignon, Yorkville Highlands 14.5% (USA) $42.00. 89 • Yorkville Cellars 2013 M-PV Same Vine Rennie Estate, Yorkville Highlands 13.5% (USA) $40.00. 93 • Yorkville Cellars 2014 Rennie Vineyard, Cabernet Franc, Yorkville Highlands 13.5% (USA) $34.00. 88 • Yorkville Cellars 2014 Rennie Vineyard, Petit Verdot, Yorkville Highlands 13.5% (USA) $32.00. 90 • Yorkville Cellars 2014 Rennie Vineyard, Merlot, Yorkville Highlands 13.5% (USA) $32.00. 90 • Yorkville Cellars 2014 Rennie Vineyard, Cabernet Sauvignon, Yorkville Highlands 13.5% (USA) $36.00. 90 • Yorkville Cellars 2014 Rennie Vineyard, Carmenère, Yorkville Highlands 13.5% (USA) $40.00. 86 • Yorkville Cellars 2015 Randle Hill Vineyard, Sauvignon Blanc, Yorkville Highlands 13.5% (USA) $19.00. 84 • Yorkville Cellars 2015 Randle Hill Vineyard, Semillon, Yorkville Highlands 13.5% (USA) $22.00. 85 • Yorkville Cellars 2015 Eleanor of Aquitaine Randle Hill Vineyard White Blend, Yorkville Highlands 13.5% (USA) $30.00. 90 • Yorkville Cellars 2014 Richard the Lion-Heart Rennie Vineyard, Yorkville Highlands 13.5% (USA) $46.00. 82 • Yorkville Cellars 2016 Randle Hill Vineyard, Sauvignon Blanc, Yorkville Highlands 13.5% (USA) $19.00. 93 • Yorkville Cellars 2016 Randle Hill Vineyard Amber Folly, Semillon, Yorkville Highlands 13% (USA) $28.00. 85 • Yorkville Cellars 2016 Brut Rosé Rennie Vineyard, Malbec, Yorkville Highlands 12% (USA) $36.00. 88 • Yorkville Cellars 2015 Rennie Vineyard, Malbec, Yorkville Highlands 13.5% (USA) $34.00. 90 • Yorkville Cellars 2017 Randle Hill Vineyard, Sauvignon Blanc, Yorkville Highlands 13.5% (USA) $20.00. 93 • Yorkville Cellars 2016 Randle Hill Vineyard, Semillon, Yorkville Highlands 13.5% (USA) $24.00. 93 • Yorkville Cellars 2016 Randle Hill Vineyard Eleanor of Aquitaine, Yorkville Highlands 13.5% (USA) $30.00. 88 • Yorkville Cellars 2015 Rennie Vineyard, Merlot, Yorkville Highlands 13.5% (USA) $30.00. 89 • Yorkville Cellars 2015 Rennie Vineyard, Cabernet Sauvignon, Yorkville Highlands 13.5% (USA) $36.00. 87 • Yorkville Cellars 2015 Rennie Vineyard, Petit Verdot, Yorkville Highlands 13.5% (USA) $32.00. 89 • Yorkville Cellars 2015 Rennie Vineyard, Cabernet Franc, Yorkville Highlands 13.5% (USA) $34.00. 89 • Yorkville Cellars 2015 Rennie Vineyard, Carmenère, Yorkville Highlands 13.5% (USA) $38.00. 92 • Yorkville Cellars 2016 Sparkling Brut Rosé, Malbec, Yorkville Highlands 12% (USA) $36.00. 86 • Yorkville Cellars 2017 Rennie Vineyard Rosé, Cabernet Franc, Yorkville Highlands 13% (USA) $22.00. 90 • Yorkville Cellars 2017 Rennie Vineyard Rosé, Petit Verdot, Yorkville Highlands 13% (USA) $22.00. 86 • Yorkville Cellars 2017 Rennie Vineyard Rosé, Malbec, Yorkville Highlands 13% (USA) $22.00. 91 • Yorkville Cellars 2017 Randle Hill Vineyard, Semillon, Yorkville Highlands 13.5% (USA) $26.00. 86 • Yorkville Cellars 2017 Randle Hill Vineyard Eleanor of Aquitaine, Yorkville Highlands 13.5% (USA) $32.00. 92 • Yorkville Cellars 2016 Rennie Vineyard, Cabernet Franc, Yorkville Highlands 13.5% (USA) $36.00. 94 • Yorkville Cellars 2016 Rennie Vineyard, Carmenère, Yorkville Highlands 13.5% (USA) $40.00. 93 • Yorkville Cellars 2016 Rennie Vineyard, Merlot, Yorkville Highlands 13.5% (USA) $32.00. 95 • Yorkville Cellars 2016 Rennie Vineyard, Petit Verdot, Yorkville Highlands 13.5% (USA) $34.00. 89 • Yorkville Cellars 2015 M-PV Same Vine, Malbec-Petit Verdot, Yorkville Highlands-Mendocino County 13.5% (USA) $42.00. 90 • Yorkville Cellars 2015 Richard the Lion-Heart Rennie Vineyard, Yorkville Highlands 13.5% (USA) $48.00. 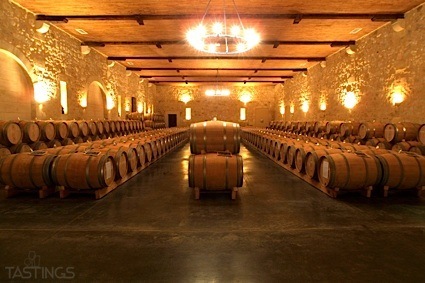 Yorkville Cellars 2016 Rennie Vineyard, Petit Verdot, Yorkville Highlands rating was calculated by tastings.com to be 95 points out of 100 on 4/11/2019. Please note that MSRP may have changed since the date of our review.